As a Masters of Healthcare Administration student, you are preparing yourself to enter into the field of Healthcare Administration, because of the endless career opportunities, flexibility and room for growth it offers. But the Healthcare Administration field wasn’t always this prosperous or developed. In fact, up until the earlier part of the 20th century, healthcare was extremely limited and patient treatment was poor. First, What Defines Healthcare Administration? Healthcare administration is an often overlooked, but extremely important, field in healthcare. The first thing that comes to mind when you think hospital is “MD” or “Surgeon” or “Nurse”, right? Well, the Healthcare Administrators are the ones who work behind the scenes, controlling your patient records, the inner politics of the hospital, the hospital finances, the administrative work, and more. They are like the “Big Brother”s of the healthcare industry, watching over the welfare of entire hospitals and healthcare facilities. You may have come across several various, interchangeable terms for this field, such as Healthcare Services, Healthcare Management, Health Services Administration and so forth. To clarify, they are interchangeable and synonymous. They all fall under the umbrella of Healthcare Administration. Up until the late 1800s, hospitals offered little to no real patient support for the sick, because there was simply not enough money nor knowledge of professional medical treatment. This all changed, however, with the innovations in medicine, anesthesia, modern surgery and medical tools in the earlier 20th century. 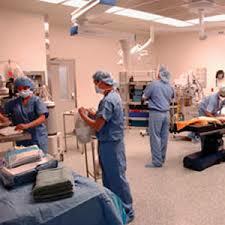 Hospitals began to open their doors to the sick, prepped with the tools and knowledge to assist the ailing. 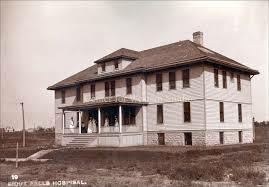 Just between 1875 and 1925, the number of US hospitals grew from about 170 to over 7,000! As the number of hospitals grew, it became more and more apparent that there had to be some type of training program to prepare the individuals who were to manage and assume administrative responsibilities. Thus, the first modern day “health systems management program” was born in 1934 at the University of Chicago. This program at the University of Chicago was the first Master’s Degree awarding program in healthcare administration. The program required one year of coursework and one year of practical work experience. Later on, this eventually developed into a two year coursework graduate program model that most graduate schools still follow today. The “HA” in MHA – Masters of Healthcare Administration – used to stand for Hospital Administration, once again another reminder of the various interchangeable titles of healthcare management. In short, healthcare has come a LONG way – and luckily for you, that means there will be plenty of Executive and Managerial positions available for you after you’ve earned your Masters in Healthcare Administration.